Sometimes a girl’s gotta share what she loves. 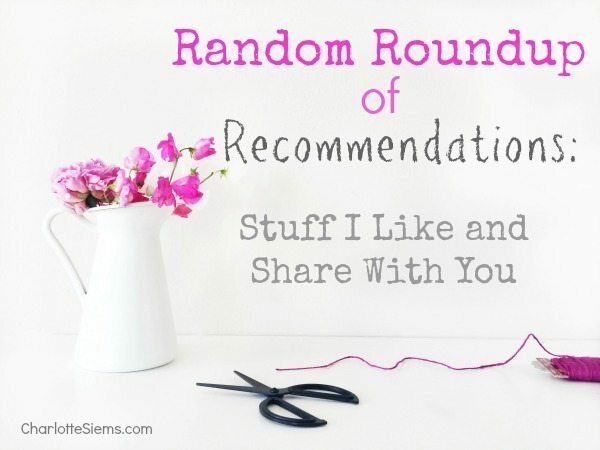 Gather round, here’s a random list of tried-and-true recommendations for stuff I love! Warning: this post won’t win any photography prizes. I’m sure it would have been better to take pictures in daylight on a staged background with soft lighting. You’re getting midnight shots on a lapdesk. But hey, it works—the whole idea is to be random and to recommend, right? Middle-aged eyebrows tend to lose color and get sparse. 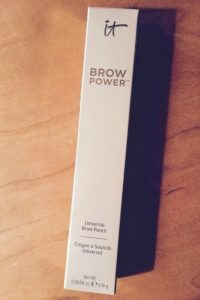 Since the eyebrows frame the eyes and really make a difference in a polished, finished look, my makeup is not complete without “doing my brows.” My current favorite eyebrow pencil is “it Cosmetics” Brow Power. This brow pencil in Universal Taupe has the pencil in one end and a handy brush in the other. The shade of color depends on how hard you press when applying. Lasts all day, looks natural. I bought mine at Ulta and it even comes in a travel size. I love NYX makeup!! It’s inexpensive and durable, and my sensitive eyes and skin have never had a problem with it. 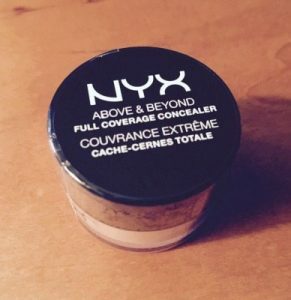 I can’t say enough good things about “Above and Beyond Full Coverage Concealer!” Covers my undereye circles without making me look like an albino raccoon. Goes on creamy but doesn’t crease. Love. This. Stuff. Also found at Ulta. I told you this was going to be random. Oklahoma weather is unpredictable, and you never know when lightning, an ice storm or high winds will knock out the power. 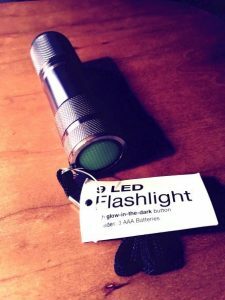 While checking out at the register at Office Depot, I saw this cute little flashlight and had the brilliant idea to keep one in my desk drawer in case of groping in the dark after a power outage. Cool feature: glow-in-the-dark “on” switch so you can find it in the dark, while you’re groping. Hands down, the Instant Pot electric pressure cooker wins this one. Last night my 12-year-old made the most delicious savory beef stew in just under an hour, including searing the meat and slicing potatoes (45 minutes of that hour was cooking time). I’ll post the super-easy recipe soon. This appliance is like a crock pot on steroids, we love it. Oh, how I love to shop at Tee for the Soul. They have a website: Tee for the Soul where you can order online. I happen to live where they have their actual store, and these ladies are soooo friendly and helpful! Amazing customer service, Woo-Hoo Wednesdays, drama-free Facebook group, fun app for your phone…they’ve got it all! I love supporting this Christian business. Clothing, shoes, jewelry and accessories for real women. Highly recommended. I hope you’ve enjoyed these random recommendations. 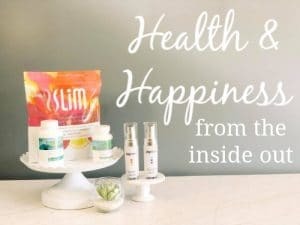 I can’t help myself, I love to share what works for me and what I love! I'm a grateful wife & mom of 12 amazing persons. I love to inspire & teach busy women to find beauty in everyday life by caring for themselves, creating comfortable homes with their families and living out ordinary days with grace and gratitude. I'd love to encourage YOU! This cheatsheet will clear the brain fog & show you how to kiss overwhelm goodbye! Tested for real life by a mom of 12 who always looks for fast & simple. Success! Now check your email to confirm your subscription & download the Do-It-Yourself Guide so you get started and clear the overwhelm! 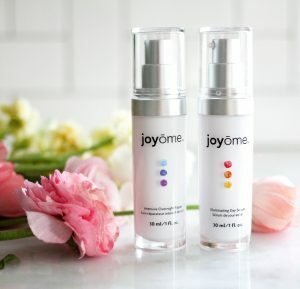 Younger-Looking, Glowing Skin: Love It!